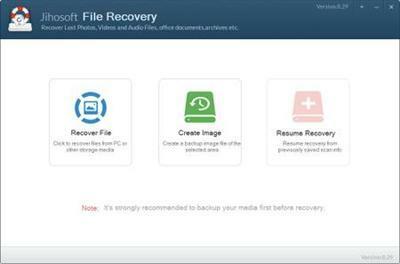 Jihosoft Android Phone Recovery - Best Data Recovery Software for Android Smartphones & Tablets. Jihosoft Android Phone Recovery offers users a simple and safe way to recover lost contacts, text messages, photos, videos, audio, WhatsApp messages, etc from Android phone internal memory. Jihosoft File Recovery helps you recover deleted/formatted/lost documents, emails, photos, videos, music, etc from PC hard drive and external storage medium. Jihosoft File Recovery is one of the many programs that promise users the ability to restore lost, formatted or deleted items. The application does not require any technical expertise on behalf of the end-user and a few mouse clicks are enough to recover files.